Choosing the ‘top stories of 2018’ was, this year, a difficult task. Many compelling story threads played out, dramatically impacting the North American waterfront, and in particular, the workboat sector – each in their own unique way. Read on to find out how and why. Futuristic, remote-controlled autonomous marine vehicles aren’t coming. They are here. As the pace of change quickens, autonomous vessels are already providing service and value on the water. Out ahead of the rulemaking process, autonomous technology providers already churn out not just prototypes and designs, but also countless workboats, many already in service. 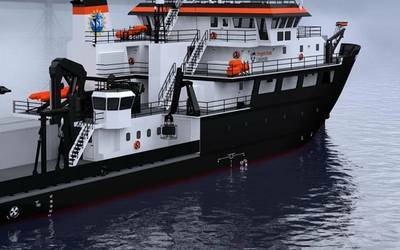 For example, Robert Allan and Kongsberg Maritime are collaborating on a remotely-operated fireboat design that will allow responders to attack fires more aggressively and safer than ever before. Separately, Sea Machines demonstrated the capabilities of its SM300 product aboard an autonomous-command, remote-controlled TUCO fireboat. 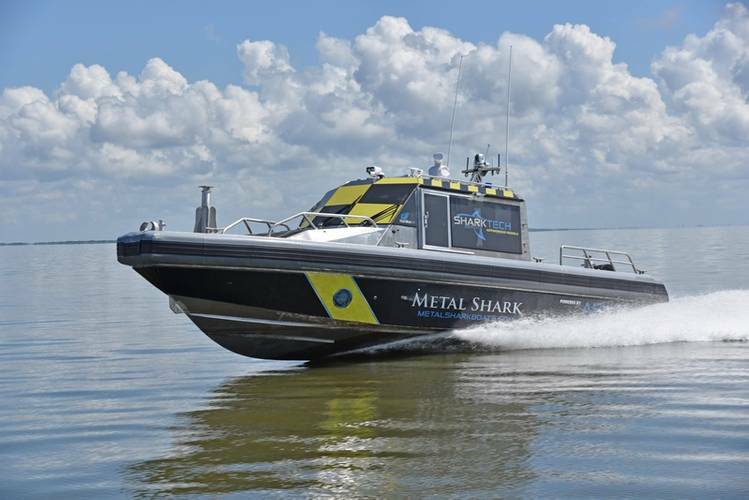 And, in July, shipbuilder Metal Shark joined forces with ASV Global to introduce “Sharktech” Autonomous Vessels. Scores of these hulls are already in service, filling myriad roles. One firm, ASV global, has been putting autonomous solutions on the water for many years. They’ve delivered more than 100 new build USVs; far ahead of its nearest competitor. Delivering more than 14 ferries in less than 18 months might be a tall order for some yards, but not for Louisiana-based Metal Shark. At the company’s 15-acre Jeanerette, Louisiana production campus, Metal Shark focuses on the production of smaller, trailerable vessels. Metal Shark’s nearby 25-acre Franklin, Louisiana shipyard, opened in 2014, specializes in the production of larger vessels. Meanwhile, Metal Shark is implementing its methodologies, production and project management systems at its new “Metal Shark – Alabama” facility (formerly Horizon Shipbuilding). Metal Shark – Alabama supports aluminum and steel shipbuilding for vessels of up to 300’ in length and 1,500 tons launch weight. A partnership with autonomous technology provider ASV global rounded out an exciting year, with more still to come. All told, Metal Shark was clearly one of the big success stories of 2018 and the firm continues its growth as one of the most diversified shipbuilders in the business. It wasn’t too long ago that offshore giant Tidewater emerged from Chapter 11 Bankruptcy. GulfMark did the same. Shortly thereafter, the two firms agreed to merge. Along the way, an unsolicited bid from HGIM for GulfMark made the news even more interesting. The combined company will have the largest fleet, broadest operating footprint in the OSV sector. 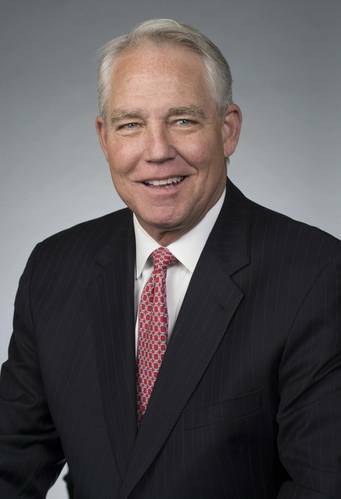 According to Tidewater CEO John Rynd, the fact that both companies worked through the process of restructuring and emerged with strong balance sheets and low leverage was an underlying enabler for the combination. The combined company will have a larger Jones Act fleet, but the percentage of the overall fleet that remains U.S. flagged will depend on where the firm sees best opportunities for its combined fleet. Whatever the outcome, and without a doubt, this merger represents a profound game changer for the global and domestic offshore energy support markets. The Maritime Administration (MARAD) in October released a Request for Proposal (RFP) to solicit for a Vessel Construction Manager (VCM) to deliver a new class of training ships referred to as a National Security Multi-Mission Vessel (NSMV). “The U.S. shipbuilding and repair industry is vital to the economic strength and security of our nation,” said Maritime Administrator Mark H. Buzby, adding, “and this project will demonstrate that American shipbuilding remains the global standard of excellence.” The NSMV will help to sustain world-class, U.S. maritime training operations at the State Maritime Academies, leveraging space for up to 600 cadets to train in a first-rate maritime academic environment at sea. Beyond this, the NSMV will also be available to support federal government efforts in response to national and international disasters, such as hurricanes and earthquakes. A persistent, long shot effort has produced fruit at last. July 20, 2018 was a critical date for towboat operators; the deadline for some U.S.-flag towing vessels to comply with Subchapter M, the U.S. Coast Guard’s towing vessel safety regulations. Central to subM is the Coast Guard issued Certificate of Inspection (COI), which ultimately permits the vessel to legally operate. There are two paths to certification. One is to arrange for USCG inspectors to inspect and approve a vessel’s towing safety management system. The second is to work with an approved third party organization which independently documents that a vessel meets subM’s requirements and recommend that the USCG issue a COI. The American Waterways Operators estimates that Sub M adds about 5,600 vessels are impacted by SubM. By July 19, 2022, all must be inspected. How are we doing? According to the U.S. Coast Guard, just 186 vessels, or a paltry 3% of the subM fleet now have COI’s (as of November 6). Amidst an atmosphere of resurgence in the domestic offshore oil energy, stakeholders are reminded that there is more than one kind of offshore energy. Now underway on Lake Erie, it has already happened off New England. And, last April, the Department of the Interior’s Bureau of Ocean Energy Management (BOEM) published a ‘Call for Information and Nominations,’ a formal process for BOEM to gather information about interest in commercial wind energy in the Atlantic outer continental shelf. Curiously, offshore wind, a long awaited source of renewable energy, has as many detractors as its fossil fuel cousins. Maritime groups are closely watching these developments; in particular, the American Waterways Operators. 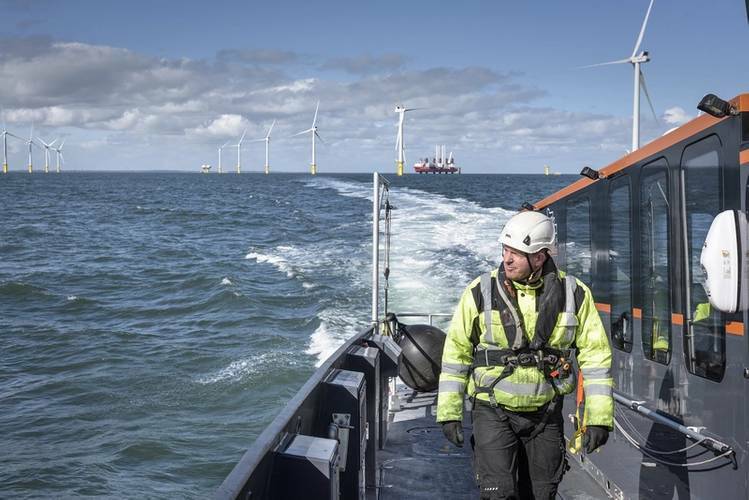 At a time when offshore wind finally seems ready to flourish on this side of the pond, decades after proven feasible offshore Europe, it is clear that the regulatory process will be no less onerous than that which has historically dogged the oil industry. It might prove to be harder. The $2.9 billion settlement fund Volkswagen agreed to capitalize for distribution across 50 states, tribal lands, and Puerto Rico, as a result of “dieselgate,” this year presents an unparalleled opportunity to maritime companies that want to move their diesel engines up a couple of EPA notches, and stick someone else with the bill. Under the rules of the Volkswagen Mitigation Trust Fund, tug, tow and ferry owners with qualifying NOx emissions reduction projects can get the job done at a significantly reduced cost, the extent to which will depend in part on the engine upgrade option they choose. That’s why many workboat operators are already stepping up to get green – both kinds of green. The pros far outweigh the cons. All that said; the sooner people apply the better, once these funds are gone – they are gone. And, that’s as big a story as we’ve seen this year. The ribbon cutting to officially open the Olmsted Locks and Dam took place on August 30. On the Ohio River at Olmsted, IL, this crucial piece of infrastructure is finally in place. To say that the 2,596-foot Olmsted dam is situated on a vital section of the Nation’s inland waterways would not give full weight to its importance. 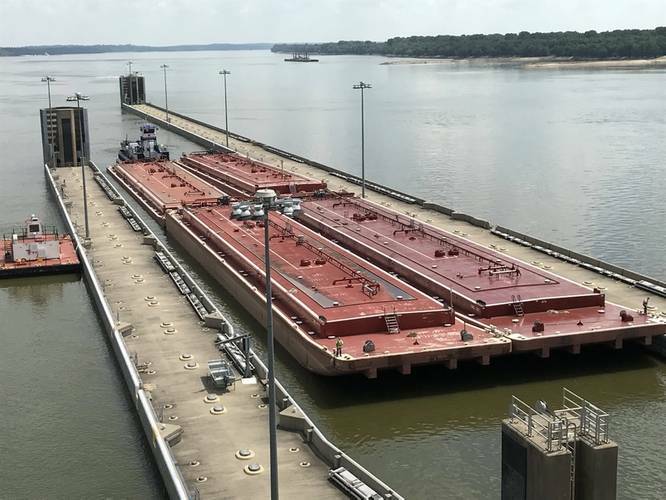 The 90 million tons that passes through the locks annually exceeds every other section of America’s inland navigation system. First authorized in 1988 at a cost of $775 million, construction was estimated to take seven years. Eventually, it took 30 years and cost a whopping $3 billion. The Olmsted project was remarkable; arguably the civil engineering equivalent to the Manhattan project. In every aspect, Olmsted evolved through an expensive learning curve. The most important lesson learned comes down to lessons applied on future projects. On an inland river system that promises countless uncertainties lurking around every bend, that’s one lesson stakeholders can take straight to the bank. When Gulf Coast-based Eastern Shipbuilding Group resumed operations at both of its two main shipbuilding facilities just two weeks after Hurricane Michael devastated Panama City, Florida and surrounding communities, the ongoing effort underscored the grit and determination of the area’s residents. The most powerful storm to ever make landfall in the Florida Panhandle, Michael was the third most powerful hurricane to make landfall in the United States. Its impact was profound. Within the gates of Eastern Shipbuilding’s two sprawling production facilities, the damage was unparalleled. Eastern first took a ‘family’ approach to its recovery, stressing the basic needs of its employees, and only then embarking on the task of picking up the pieces. The second part – probably in no small thanks to their first effort – yielded immediate fruit and today, the majority of ESG’s workforce has returned to work, as well as all its U.S. Coast Guard OPC dedicated staff. The news that Carnival Corporation had contracted with Shell to fuel fully LNG-powered cruise ships in North America was an important milestone in the maritime industry’s quest to clean up its environmental footprint. It wasn’t the only one on this side of the pond. Carnival will fuel its vessels via Shell’s LNG Bunker Barge. 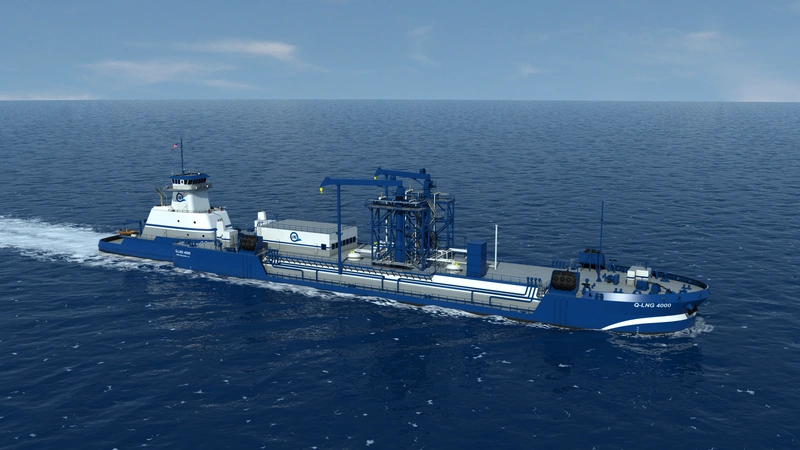 The Bunker Barge, first of its kind in the U.S., will allow the ships to refuel with LNG at U.S. East Coast ports. The ATB is being built at the VT Halter Marine shipyard in Pascagoula on behalf of Quality Liquefied Natural Gas Transport LLC (Q-LNG). Separately, Crowley Maritime took delivery of a ConRo ship also powered by liquefied natural gas (LNG). Not to be outdone, Conrad Industries delivered the Clean Jacksonville, the first LNG bunker barge built in North America. The vessel serves TOTE Maritime at Jacksonville, FL, where it bunkers two Marlin Class containerships.